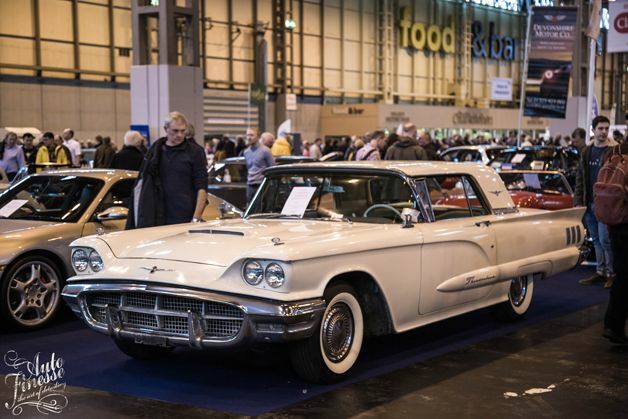 Once again timeless classics and immaculate restorations roll into the NEC Arena to bask in the limelight at this huge venue. 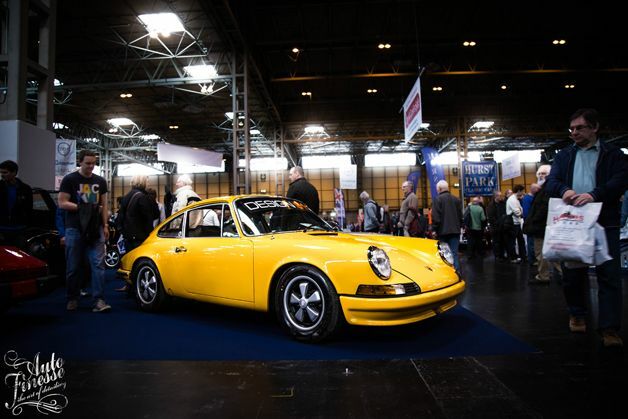 We headed over to see what the show had to offer and what was up for sale, we know the organisers only allow in high quality vehicles, its a perfect place to look at some of the best classics in the country and maybe part with your cash if your feeling tempted. 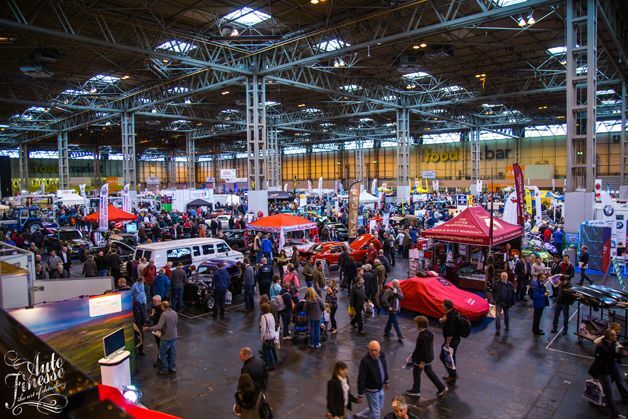 Arriving at the show the air is filled with the smell of oil, sounds of mechanics working away underneath classics, you know you’re in the right place. 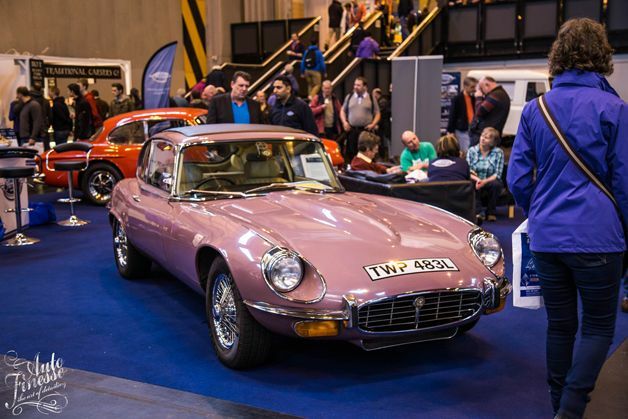 With a mixture of enthusiastic traders, sparkling show cars, dilapidated barn finds and glamorous auctions the Classic Restoration Show is not one to be missed. 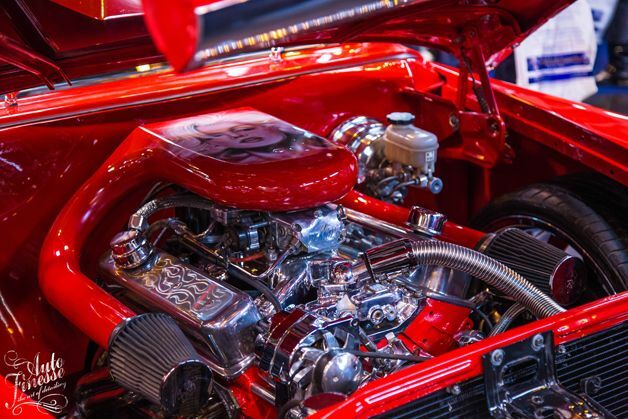 Let’s start looking at some of the metal at the show, first off this awesome Plymouth Belvedere with a small block Chevy engine and custom air brushing. 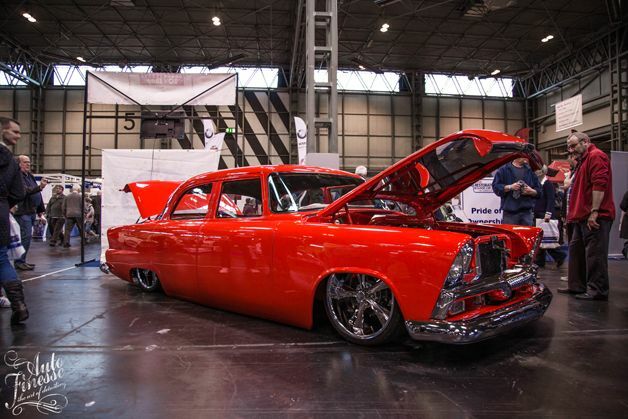 Laying frame courtesy of an awesome air install, tucking a gorgeous set of American racing wheels, its the level of detail on this car simply blew us away. 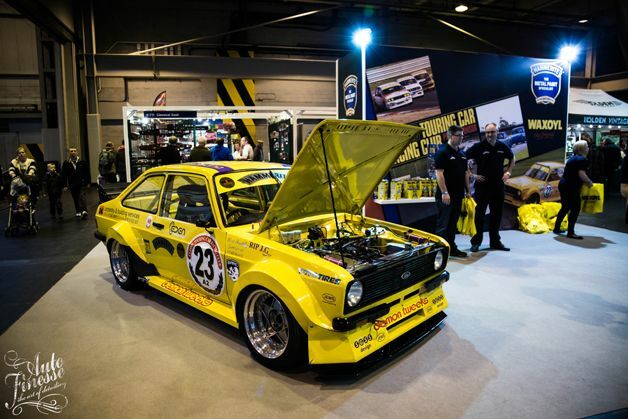 Another tremendous build that caught our eye was this Ford Touring car, why did it catch our eye? 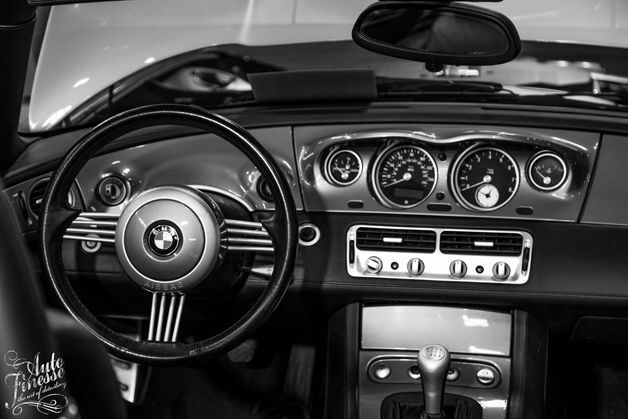 Because race car. 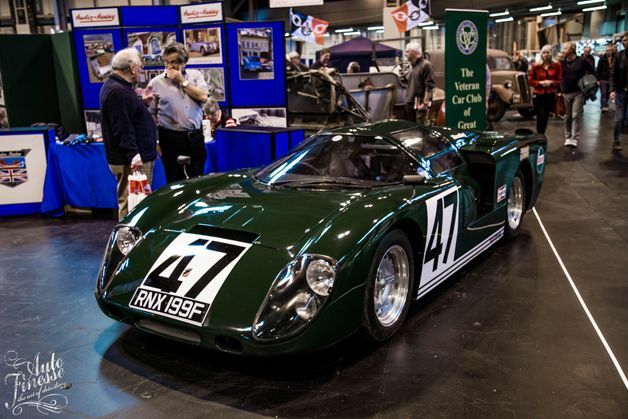 This car must be a serious machine on the track and it still has great stance and show presence drawing in huge amounts of attention. 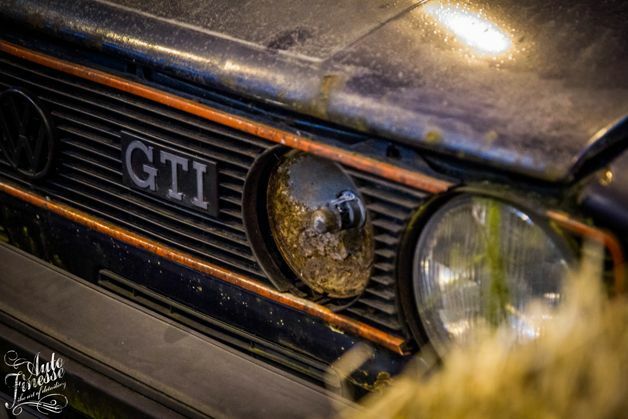 The show had different levels of restoration, some at different stages to others which shows how much effort truly goes into bringing a classic back to life. 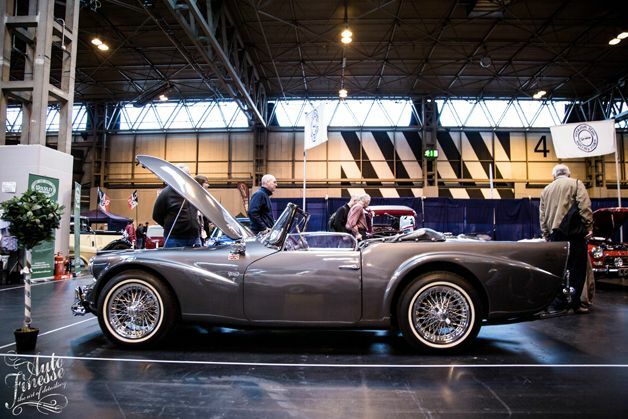 One car that stopped us in our tracks was this gorgeous fully restored Daimler, those fins are timeless and the contrast with the lovely red interior to the Grey/silver paint is a winner in our books. 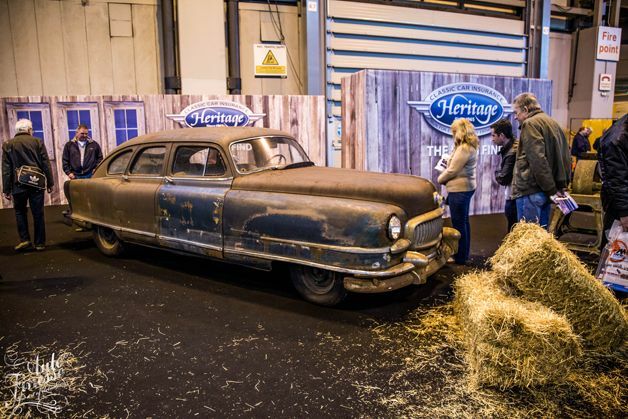 One section of the show we really enjoyed was the fresh barn find area, with a scattering of hay and rustic wood texture walls to add to the authenticity. Some of these have been plucked fresh from the wilderness and displayed for the visitors to see, others were for sale. 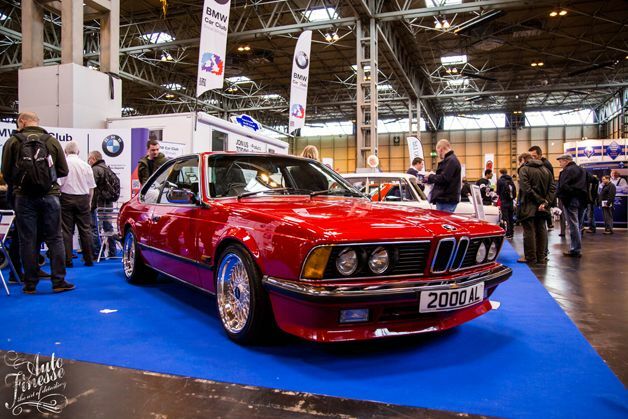 The show car halls were filled with some of best club stands and immaculate examples of rare models, this BMW 635 was tastefully modified yet kept a clean original look, paintwork, trim and every other detail was immaculate. 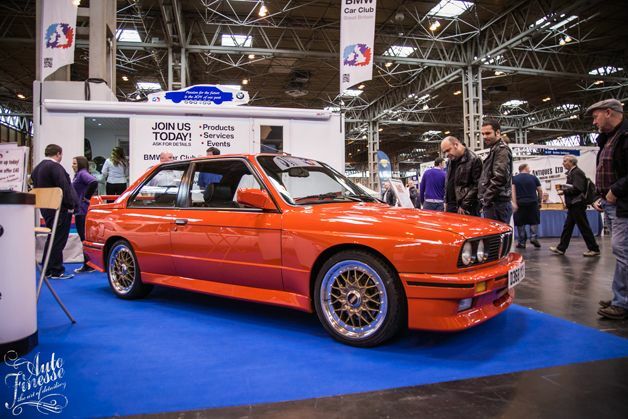 The BMW owners club also had a E30 M3, the value of these beauties have sky rocketed in recent years, a truly desirable classic. 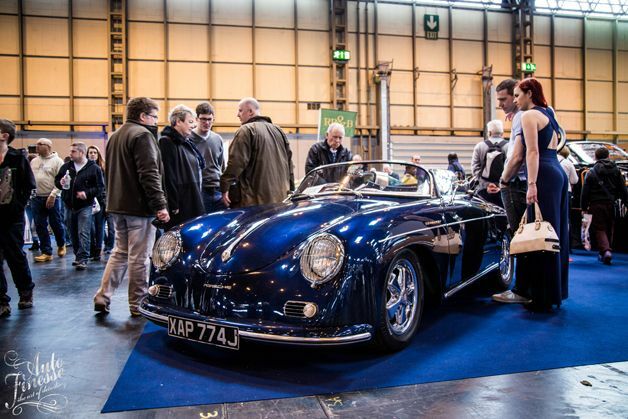 One reoccurring theme was the presence of some gorgeous Classic Porsche’s, not that we are complaining! Each one blew us away, and was totally individual. 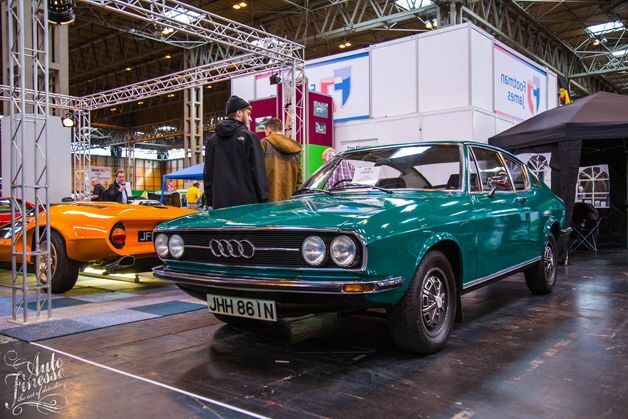 We love retro Audi’s here at Auto Finesse, this Malachite Metallic Audi 100 coupe was a thing of beauty, fully restored back to its prime. 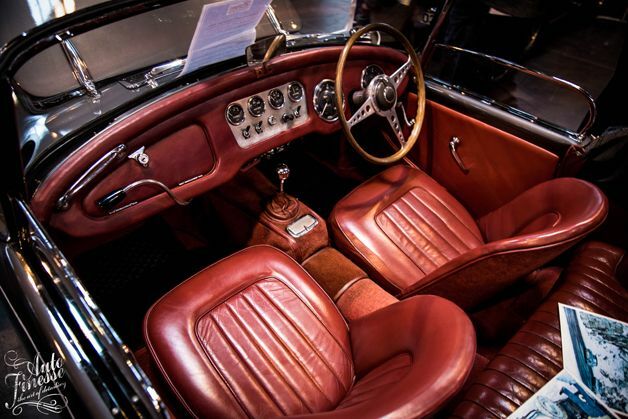 What an awesome piece of history and workmanship! 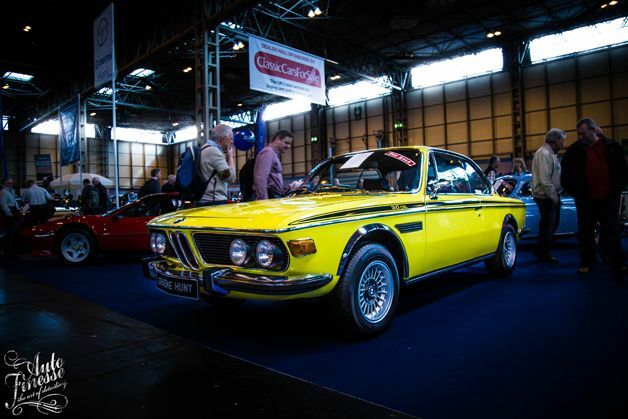 One certain car had everyone talking and that was this original RHD city pack BMW 3.0 CSL, shining bright in Golf Yellow! 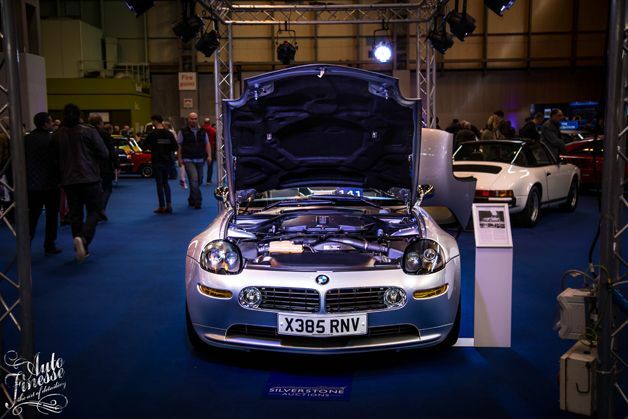 Nope, you’re not seeing double this is indeed a double front ended vehicle! 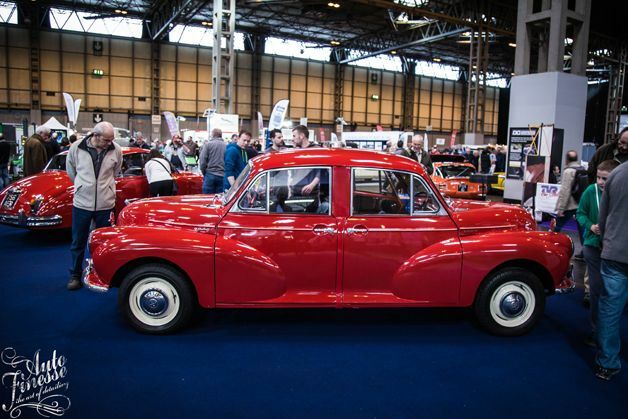 Taking inspiration from those crazy Top Gear builds years ago, this double ended Morris Minor was born. 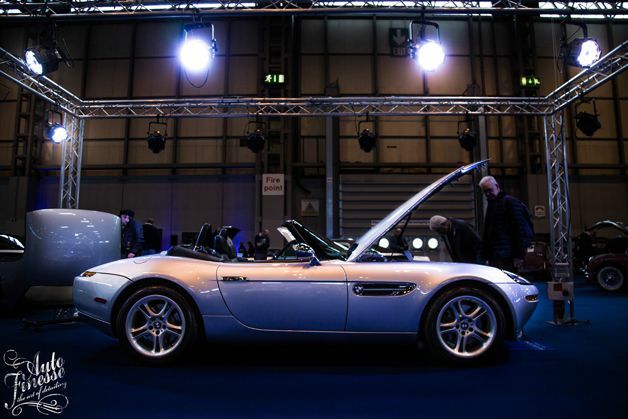 Moving on to the Highlight of the Silverstone Auctions, the main crowd pleaser was this fresh BMW Z8, remember the car that got cut in half in The World Is Not Enough, It was one of these beauties. 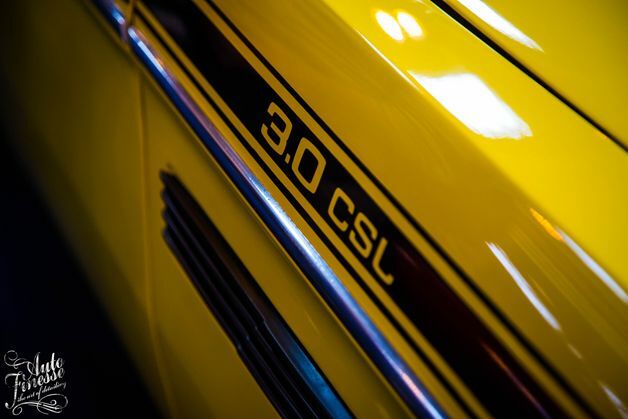 Throughout the halls, classic cars were all you could spot for as far as your eyes could see. 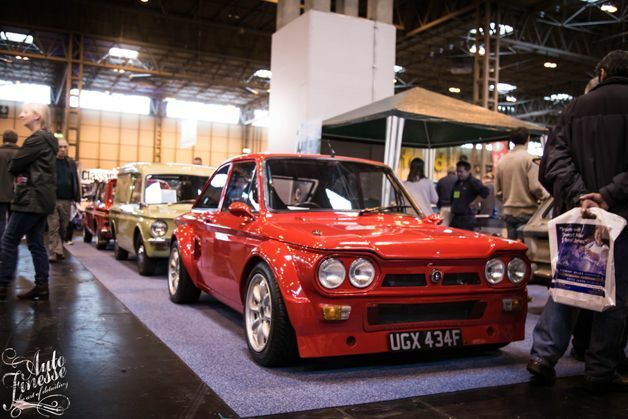 Bringing back memories for all car lovers from every generation, we always love seeing the variety at the NEC shows and this one was no different.